Tough jobs don't stand a chance with the DL250-5 wheel loader. With an excellent combination of breakout force, size and lift capacity, it's a highly-capable machine for many applications. 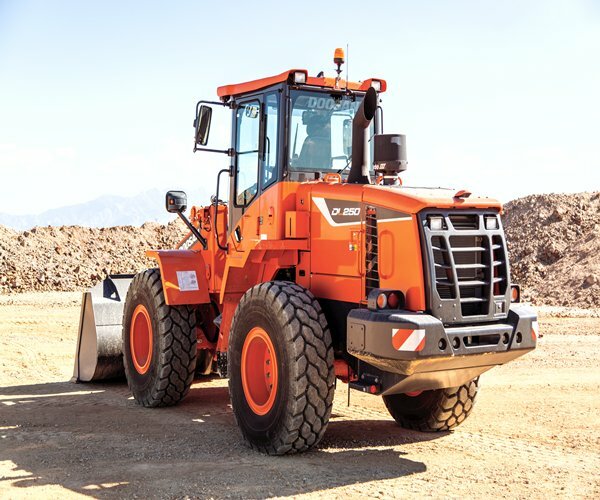 It's ideally sized to handle a wide range of material handling tasks, from loading and transporting sand and gravel to snow and storm debris removal. With its High Lift option, the DL250-5 will easily load stockpiled, light materials like grain, fertilizer, coal or waste into high-sided trucks or hoppers. 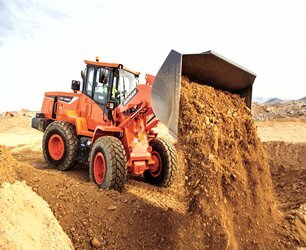 Maintenance is quick and easy on the DL250-5 wheel loader. Easily reach oil sampling and pressure test ports, and engine and coolant drains. 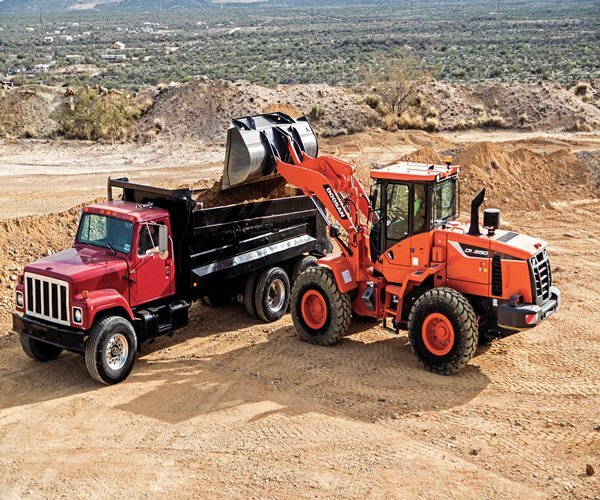 Monitor your Doosan heavy equipment and manage maintenance to reduce operating costs with a 3-year subscription to Doosan Telematics. To comply with Tier 4 emissions standards, the DL250-5 incorporates a high-pressure common-rail (HPCR) fuel delivery system as well as cooled exhaust gas recirculation (CEGR) combined with a diesel oxidation catalyst (DOC) and selective catalyst reduction (SCR).